Did you ever find yourself ‘stealing’… upps… I mean taking with you back home ‘used’ hotel toiletries not to let them go to waste, or as a souvenir or for the next trip? Well, you’re not the only one. Indeed, most hotels consider it fair game (since they can’t be reused for the next guest) for you to take away those toiletries. Some go out of their way to encourage you to take them with you, on the understanding that every time you use an item taken from a particular hotel you’ll recall the wonderful time you spent in that hotel and (hopefully they argue) consider another visit! Hotel guests have high expectations about what to expect in the hotels they visit. Of course this is especially the case for those staying in five-star accommodations. But let’s admit it, we all expect a degree of luxury and being pampered in the hotels we go to. Bathroom toiletries is one of the ways we want to be pampered with, and expect to be presented with (and be able to take with us) the best. Travelling regulations about the liquids which may be carried in the aircraft cabin have increased the need for such amenities, especially for those going on short business trips without checked luggage. Yet lower-starred hotels do not necessarily provide them. Worse, some hotels had to recall their products after a scare or another about the ingredients therein we do not consider it ethical to indicate concrete examples, but of course these are available online. Anatomicals has its own luxury hotel toiletries… and as with all its products it takes care to make sure that they remain true to its brand: being the world’s funkiest toiletries! Yes, you may find them in some hotel chains especially in the UK and Germany. Unfortunately, not all hotel managers have yet been converted! Which is the reason why Anatomicals offers for sale a range of hotel toiletries for those eager to travel with luxury and style wherever they’re going and whichever den they’re staying in. The range of products fits easily within the limits established by EU regulations as well as your handbag just in case you’re in an emergency and need to wash your paws! Of course, while you’re at it remember you may also opt to be pampered with that same aaah… ouuuh pampering luxury at home… the larger varieties are just a click away. We all know how important it is to sleep well… after all sleep is essential to ensure good health and well-being. Studies show that getting enough good quality sleep at the right time can help protect one’s health (mental and physical), quality of life, as well as safety…. and if Snow White’s tale is anything to go about… beauty! Studies show that a good night’s sleep helps enhance one’s learning and problem-solving skills, emotional control, attention, decisions making and creativity. Sleep deficiency on the other hand negatively affects each of these skills, reduces one’s ability to cope with change, reduces one’s alertness increasing risks at work or on the road, and has also been linked to depression, suicide, and risk-taking behavior. Sleep plays an equally important role in one’s physical health with ongoing sleep deficiency having been linked through scientific studies with an increased risk of heart disease, kidney disease, high blood pressure, diabetes, stroke, the risk of obesity. Sleep deficiency also negatively affects one’s immune system and its resilience (for example one may have trouble fighting common infections). Of course sleep deficiency may be caused by a thousand and one reasons… and as much as we would like to help, Anatomicals does not have a solution to each and every one of them. However, Anatomicals Cruisin for a Snoozin Sleep Balm does help you dose of without the need to count sheep and at the same time doing it the natural way without taking any drug. 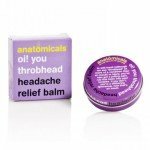 Anatomicals Cruisin for a Snoozin Sleep Balm is a wholly natural product with lavander as its main ingredient and is enriched with beeswax and rosemary. This natural sleep enhancer uses a blend of essential oils to help quiet your thoughts and clear your mind, then you fall asleep naturally. There are no drugs or narcotics in this product – no side-effects to worry about… (and no spells which will cast you in a long snowwhite sleep either!) and it comes in a handy portable small tin which fits in a pocket or a handbag and makes it an ideal traveling companion. It’s January and the cold hard days of winter are leaving their mark on your skin. To add to the harsh cold conditions of winter add some extra wind on top of the cold and voila’ you now suffer from uncomfortable dryness. Dryness of the skin, face, hands and feet. Some people are more prone and dry skin will start flaking, cracking and signs of skin inflammation (eczema) will pop up. Such a specialist can analyze your skin type, troubleshoot your current skin care regimen, and give you advice on the body care products you should be using.But that doesn’t mean you’ll be stuck buying high-end products. 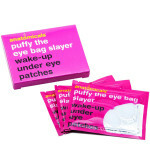 “Inexpensive products work just as well as high-end ones. In fact, the extra price you pay for the expensive stuff is often just for packaging and marketing. What’s most important is how your skin responds to the product — and how you like its feel, not how much money you paid for it.” says David Voron, MD, a dermatologist in Arcadia, Calif.
Find a dry skin relief balm moisturizer that’s oil-based, rather than water-based, as the oil will create a protective layer on the skin that retains more moisture than a cream or lotion. Since the skin on your hands is thinner than on most parts of the body and has fewer oil glands you really need to protect it well. Keeping your hands moist with a vitamin rich hand cream. Wear gloves when you go outside. Blast hot dry air throughout our homes and offices. Humidifiers get more moisture in the air, which helps prevent your skin from drying out. Drinking water helps your skin stay young looking. In fact, it’s a myth. Water is good for your overall health and the skin of someone who is severely dehydrated will benefit from fluids. During the winter, your feet need strong stuff. Try finding lotions that contain petroleum jelly or glycerine instead. A minty foot cream is also ideal whilst a body lotion may give longer lasting protection. If your facial skin is uncomfortably dry, avoid using harsh peels, masks, and alcohol-based toners or astringents, all of which can strip vital oil from your skin. Instead, find a face cleanser and masks that are “deeply hydrating,” rather than clay-based, which tends to draw moisture out of the face. And use them a little less often. Why Do We Get Cracked Hands and Chapped Lips? Smooth and supple in September to red, chapped and rough by February? Ever been in this situation? We’ve all been through it every year of our existence on planet earth. Yet, we never really investigated who the main culprit behind this is! The main culprit has always been a lack of moisture. In winter time there is a high decrease of humidity in our habitats. The outside air humidity plunges while thanks to indoor heating, inside, things are even drier. Another destructive pattern in winter is frequently washing your hands to avoid catching a cold or flu and so you’re eliminating whatever natural oils are left in your abused skin. The mixture of all the above will leave your hands so dehydrated that it is no wonder that they will crack, peel and sometimes even bleed. It is a severe case of dry skin. The skin barrier is a mix of proteins, lipids, and oils. It protects your skin, and how good a job it does is mostly about your genes and sometimes a healthy diet. Having a weak barrier will make you prone to such symptoms of sensitive skin, dry skin and eczema. It is no wonder that every winter you suffer from dry and cracked skin. #whydoesitalwayshappentome? No amount of drinkable water will heal your dry skin. What you need to do is improve your essential oil skin barrier. This can be used by a really good hand moisturizer with infused aloe vera or a dry skin balm which is rich in essential oils. If it’s chapped lips, than a spreadable lip balm which will help you to stop cracking up will do wonders. The best prevention is to begin using a moisturizer before your hands show signs of dryness. Are you like me? Often times, I think aromatherapy is only thought of for making our home smell nice or to enrich our luxurious spa experiences. However smells can be really used as a medicinal fashion with proven healing benefits. When we are exposed to an aroma, tolecules are exposed to our olfactory epithelium, our nasal receptors. The transmission of this signal from the exposure of the fragrance molecule to our brain leads to interpretation of the scent in our brain centers, which involve memory, sensory perception, general processing center, and to a gland in our brain that mediates chemical secretion into our blood and other parts of our brain, just to name a few effects. With such intricacy of neuro-processing involved in our body’s interpretation of a fragrance, it’s no wonder that many patients eventually become staunch supporters of using aromatherapy to help them with a variety of daily health concerns. In an effort to help you get started on this healing art, I will address a few common aromas for a few common health complaints. In order to simplify the listing of various fragrances for various health concerns, I will list the health concern separately and list some options for you to try in the store to see which one your body and mind resonate the most with in bringing you relief. Anxiety: lavender, melissa, myrrh, bergamot, cardamom, chamomile, cypress, frankincense, rose, pine, vanilla, marjoram, neroli, nutmeg, patchouli, and orange/lime. Depression: lemon, marjoram, neroli, peppermint, patchouli, rosemary, sandalwood, angelica, bergamot, cedarwood, jasmine, lavender, geranium, ylang ylang, and clary sage. Insomnia: lavendar, valerian, vetevier, chamomile, sandalwood, gardenia tahitensis, lemon, candelila cera, patchouli, and vanilla. Headaches: basil, chamomile, mandarin, cinnamon, ginger, eucalyptus, lavender, lemon grass, melissa, marjoram, peppermint, thyme, ylang ylang, and clary sage. Lung/sinus congestion: angelica, basil, cedarwood, clove, cypress, eucalyptus, fennel, ginger, hyssop, juniper, rosemary, tea tree, and marjoram. Indigestion: lavender, juniper, lemon grass, lemon verbena, orange, peppermint, rose, rosemary, sandalwood, thyme, anise, fennel, ginger, and basil. Menstrual cramps: angelica, basil, caraway, chamomile, ginger, clary sage, lavender, rose, rosemary, and sage. Muscle soreness: cocus nucifera, caraway, black pepper, arnica, chamomile, eucalyptus, frankincense, ginger, geranium, juniper, lemon grass, lemon verbena, rosemary, sandalwood, patchouli and myrtle. 2. To treat anti-fungal like Athlete’s Foot, eczema, various yeast infections, etc. 3. As an antiseptic for cuts and burns. 4. To reduce colds and flu. 5. To loosen chest congestion. 6. To kill head lice. 7. Eliminating bad body odor. 9. Treating dandruff and dry scalp. Anatomicals A zap zap of a review! So, this is my second Anatomicals review (you can view the first one here) and I can safely say that I’m1 Zap! loving their products immensely! In this blog post, I am going to rave about the product called Zap! Zap Gets that Chap: Day and Night Spot Stick. Before I tell you how greatly this product has transformed my life, I have to warn you that it is definitely not a miracle worker. What I’m trying to say is, that this will not work on pre-existing spots that you might have on your body. Believe me, I tried it and it did not work. From what you’ve just heard, this will seem like a bad review but I can assure you, it is not. Here comes the good part! I was determined that this product is doing nothing special until a week ago! BAM! It works on newly emerging spots! As I said, I was convinced that this product was futile but I decided to test it out for a few more days before tossing it away and I’m so glad that I did as I woke up one morning with an out-of-the-blue spot right in the middle of my forehead which was looking hideous. I applied this cream straight away and VOILA, the next day it was barely visible, until it completely faded away. That is when I figured out exactly how and on which type of spots you have to use this product.